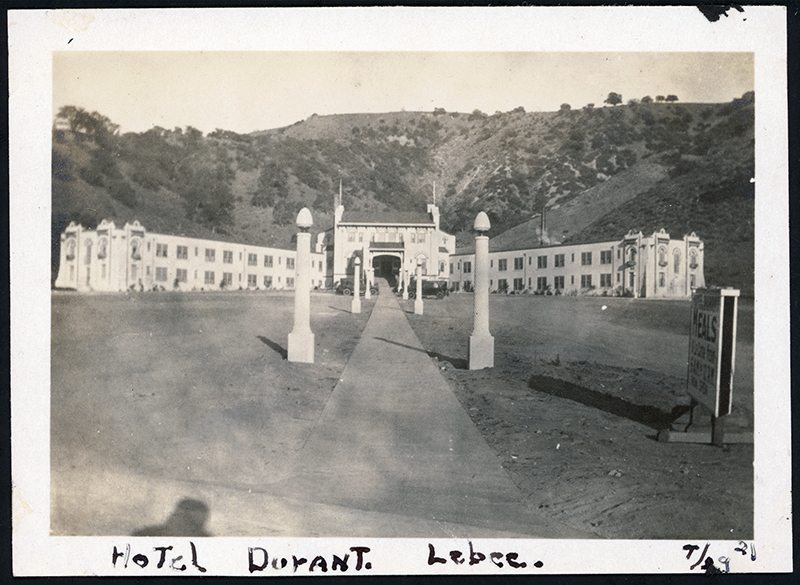 July 29, 1921 — Earliest known photograph (so far) of the newly constructed Hotel Durant, later known as Hotel Lebec. 2.5 x 3.5 inches. Source unknown. Note the lack of landscaping seen in later images. LW2852: 9600 dpi jpeg from original photograph purchased 2016 by Leon Worden.